Get comfy with this promo fleece blanket. 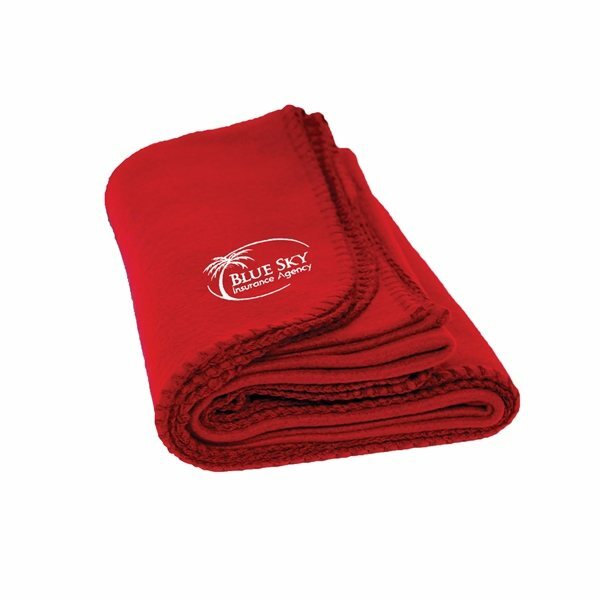 Made from 100% polyester brushed polar fleece, this blanket features a matching trim whip stitch and customized Embroidery options for your promotional needs. 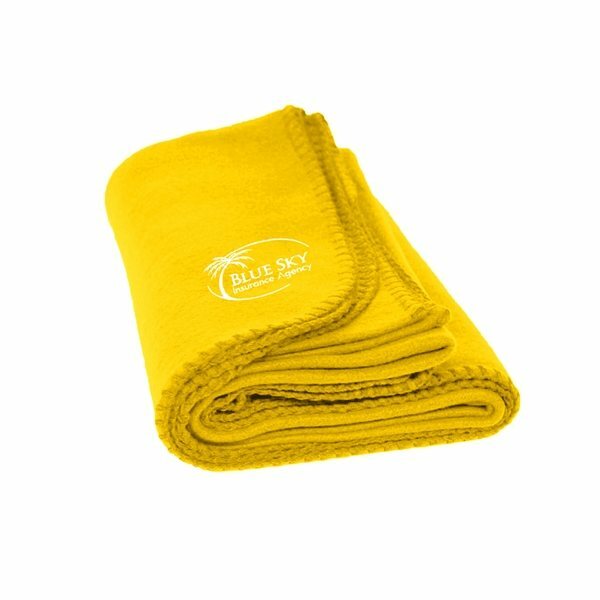 Measuring 50" x 60", this blanket is an excellent giveaway at tradeshows, conventions, sporting events, community events and more! Care: Machine wash & dry. I looked for this item at a lot of places and couldn't find what I wanted until I found your company on line. Thank you! We're so pleased with our order. The quality and cost were excellent!!! Everybody Loved them! Everybody loved them plus they looked great. Very nice. the products are a very big hit. We have lots of students stop by our table at conferences just to pick one up.